Common cold, cough and viral fever: Upper respiratory illnesses (commonly referred to as Coughs & Colds) can traverse the spectrum from mild runny noses to severe sinus and bronchial infections. While these can occur in any season, the burden tends to be highest during the monsoon season due to humid and damp weather conditions. Often these illnesses are accompanied by body aches and fever and are predominantly viral in nature. To protect yourself, wash your hands frequently with soap and running water, especially after coming in contact with persons suffering for cold or fever. Try and wear protective clothing when in contact with excessive dampness and keep your body dry and warm, especially your feet. Take off wet clothes as soon as possible. Over the counter drugs help to alleviate symptoms in most cases. However if you are experiencing high fever or severe throat pain, seek your physician’s help to find out if you need an antibiotic. Be aware that indiscriminate antibiotic use increases resistance and leads to more severe infections in the future. 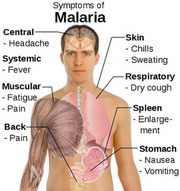 Malaria: Malaria is spread by mosquitoes breeding in dirty stagnant water. It is characterized by high fever, body aches, chills and profuse sweating. If untreated, it has the potential to become life threatening. To prevent malaria, use protective screens and meshes to prevent mosquitoes from entering the house and mosquito repellent sprays or creams when outside. Make sure any stagnant water collections in the neighborhood are attended to and avoid going out immediately after dusk. Water-borne diseases: Water-borne infections tend to occur mainly due to poor hygiene and in areas where sanitation is improper. Typhoid, some types of Hepatitis, Cholera, Gastroenteritis, and Leptospirosis are the most common water borne infections encountered in the monsoon season. Most of these illnesses tend to be accompanied by high fever, chills, body aches, and joint pains followed by loss of appetite, nausea, vomiting, and diarrhea. Avoid these illnesses by maintaining proper hygiene, washing hands frequently and by washing fruits and vegetables in clean, potable water. 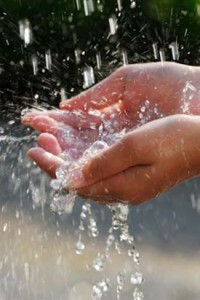 Avoid eating outside food as much as possible and avoid exposing your feet to dirty, stagnant rain water. If you have injuries, cover them well. Vaccination and keeping away from places where cholera occurs also help in limiting the spread of the disease. Typhoid can be prevented by vaccination against the illness and the use of safe drinking water and good sanitation. While targeted care helps in remedy and prevention of most monsoon-related illnesses, maintaining general hygiene and daily precautions go a long way in ensuring an enjoyable monsoon season. Keep your home and surrounding clean, eat a healthy diet, drink clean water, live an active life with physical exercise suitable for your age, and seek early medical intervention in scenarios where disease symptoms are severe or continue to exist despite preliminary care. ← Lifestyle Diseases – Don’t be a victim!